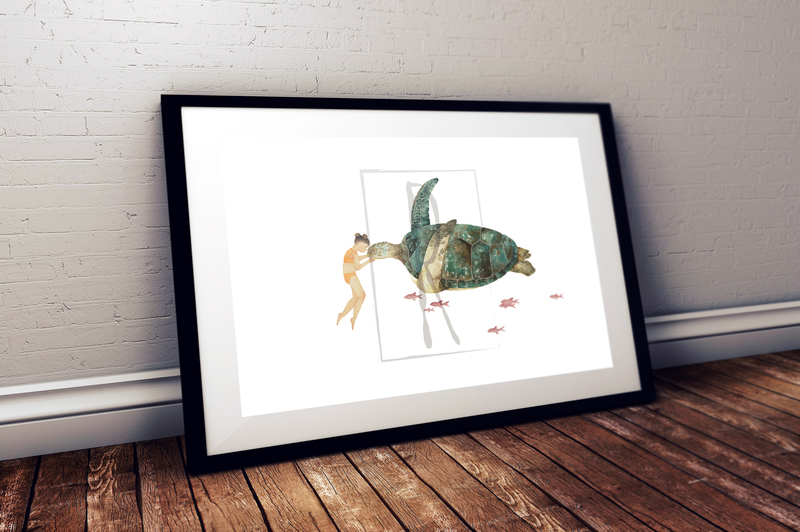 An original print, all individually signed and printed on fine art quality paper. Beautiful friendships between animals and ourselves; a window inside of my imagination. If you would like multiples please let me know by email ruby@waterandcolour.com and I can arrange orders. Commission works are also available so please have a look at my shop.